The UK Hajj & Umrah Excellence Awards launched at the CBHUK Hajj Parliament Debrief in 2016 recognises the contribution from within the Hajj & Umrah industry in providing services to British Pilgrims. The 2018 Excellence Awards is set to encompass a much wider recognition of service providers from Airlines to hoteliers and from catering companies to telecoms providers. The 2018 ceremony is to be held at the Intercontinental Park Lane in London on Tuesday 6th November 2018. USI Money is a fast-growing fintech firm who recently launched its remittance service and offers 0% fees on all transactions until the end of the year. Khaleeq Taimuri, Director of USI Money said “I am honoured to be given the opportunity to support the 2018 Hajj Awards. It is a fantastic event which identifies the involvement from within the Hajj & Umrah industry in providing excellent services to British Pilgrims”. 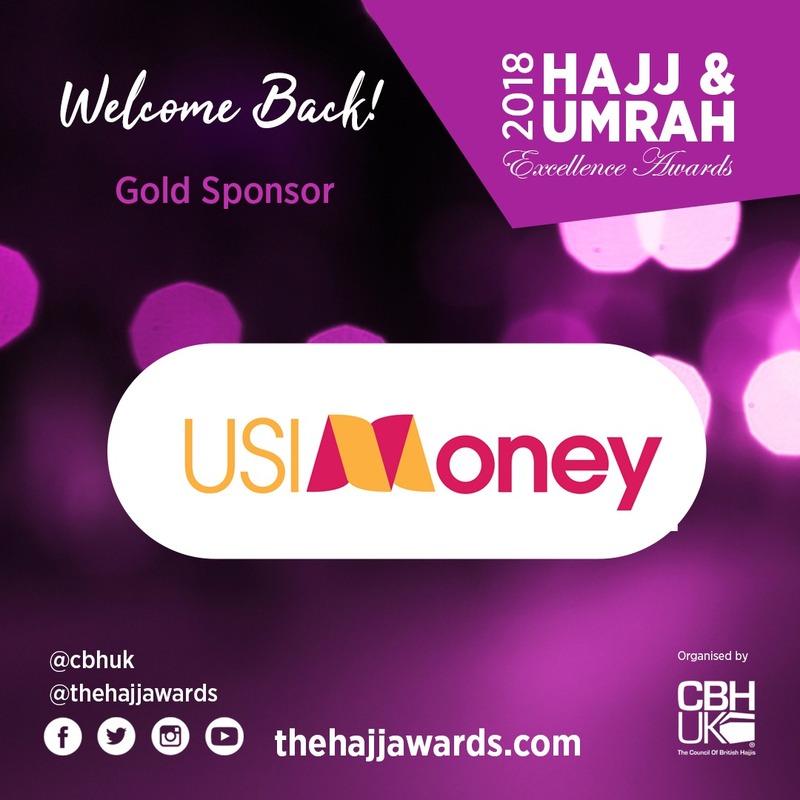 Rashid Mogradia, CEO of the CBHUK said “We’re delighted to welcome back USI Money as our gold sponsor for this year’s Hajj Awards. We appreciate their continued support. This partnership demonstrates the confidence of our sponsor and the value the Hajj Awards has on them”. USI Money’s pioneering tech solutions have been developed in-house allowing users to execute trades and move money around the world at blazing speeds with accuracy.